I'd not thought about these, interesting idea. On wiki it says boomerangs were used in prehistoric Europe. Is now a good time to mention the Acheulean handaxe frisbee theory? I once tried to make one - it didn't work out but when I tried to throw it away it kept coming back ------------------------ I will get my coat lol. YES! i'm not the only one getting my coat! As for the prehictoric Europe version, there is an amazing one from a cave made from Mammoth tusk! I'll try to find a link. If memory serves me it's from Poland. Found a picture! This was excavated in the Oblazowa cave in Poland. It's around 25000 years old and made from a Mammoth tusk, The article I was thinking of is online but you have to pay for it!
" 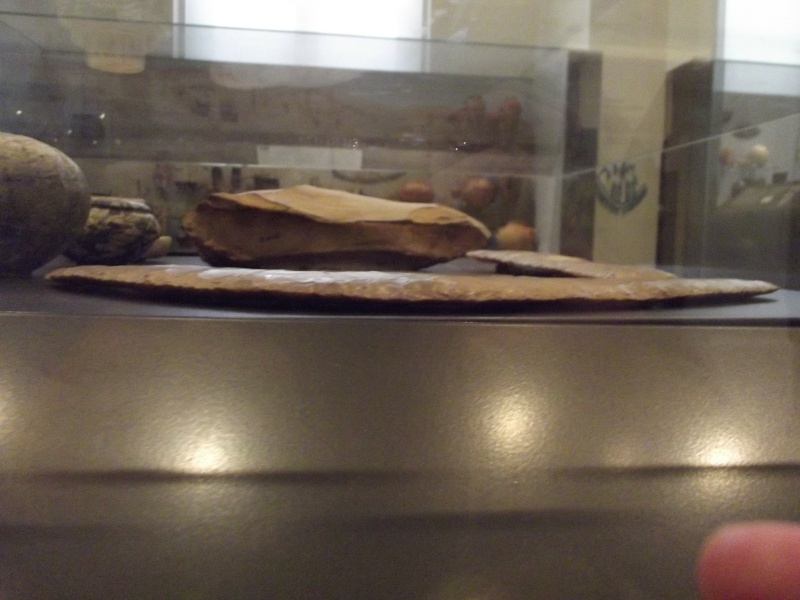 />I went to Oxford last week and finally got some pictures of the Egyptian flint boomerang. 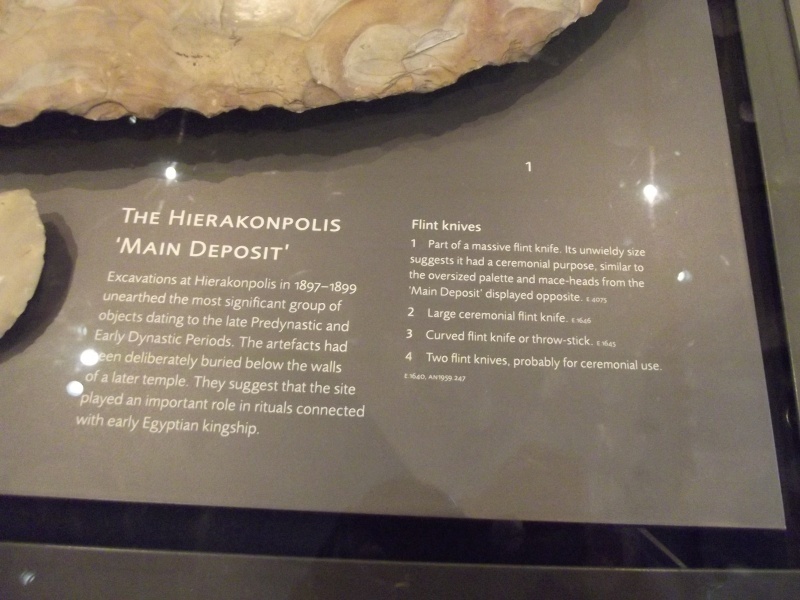 Its in the Asmolean Museum in the pre-dynastic gallery. This is the side view and i guess it's no more than 15mm thick at the middle. A quick shot with my hand for scale. It's a beast!
" />The bumph, the illustration of the flint Hippo eccentric I posted some time back came from the same site. Throw-stick indeed! Thanks for that, it is amazing. 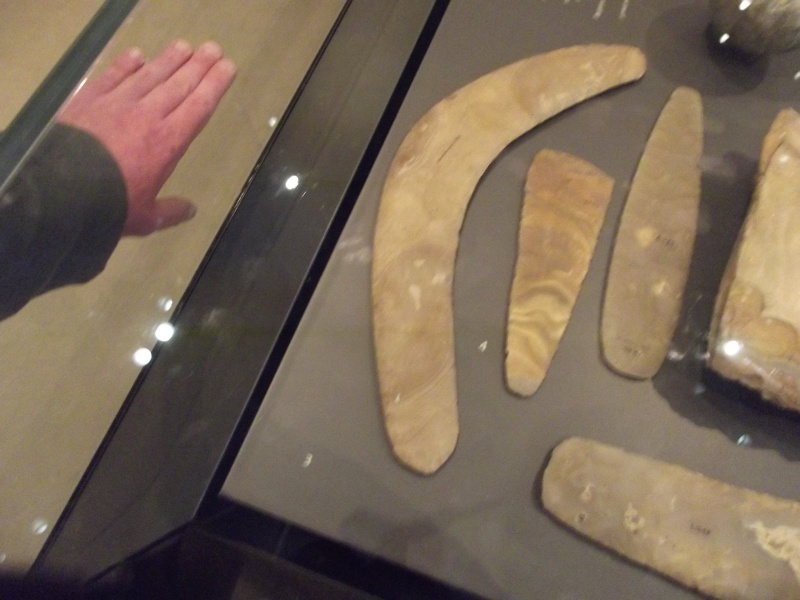 Like the way the description describes it as either a curved knife of boomerang. maybe an early Sickle. thanks for posting the pictures - I keep meaning to take a trip there myself. 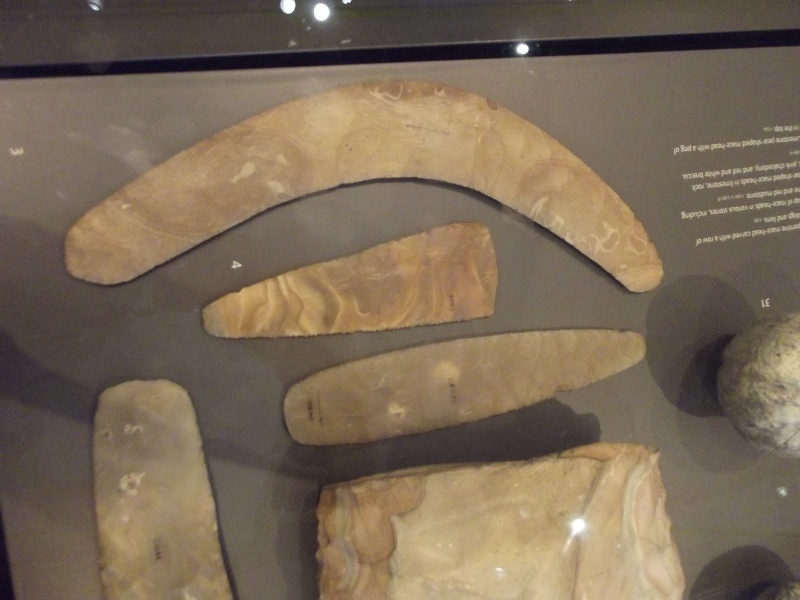 Originally boomerangs were a hunting tool and not really designed to come back, just travel through the air. The boomerang sport developed the tool into the aerodynamic returning jobby we have today. 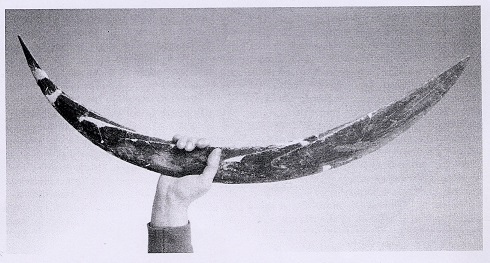 I have never seen a flint boomerang before this picture, but that is entirely plausible thats what it was. Simply, a hand thrown hunting tool. To make a boomerang, you need ideally 4 or 5 mm aeroplane grade ply (with at least 10 layers) - quite hard to come by. Also needed is an understanding of aerofoils. Quite a tricky subject!